Welcome to Riverside Veterinary Hospital! Dr. Vanessa Velez and Dr. Kirsten Mueller, along with their staff, would like to welcome you to Riverside Veterinary Hospital. We look forward to servicing our clients and their pets and we always welcome new clients. Riverside Veterinary Hospital is a full service companion animal hospital committed to providing the quality care your pet deserves and you expect. Dr. Mueller grew up here in Rochester and has been practicing since 2008. She attended veterinary school at Ross University in St. Kitts and Oregon State. After veterinary school, Dr. Mueller completed an internship at Veterinary Specialists and Emergency Services in Rochester. Since completing her internship, Dr. Mueller has been in general practice, where her professional interests include pain management and critical care. In her free time, Dr. Mueller enjoys hiking with her many dogs, her husband Matt, her daughter Lucy, and her baby boy Will. Dr. Mueller also enjoys cooking, gardening, painting and skiing in her free time. Dr. Velez was born and raised in Puerto Rico, and is fully bilingual, speaking both English and Spanish. She attended the University of Puerto Rico where she received her Bachelor’s Degree in General Science in 1997. She then moved to Ireland and attended the University College Dublin, School of Veterinary Medicine. She was awarded her degree in Veterinary Medicine in 2003. Dr Velez moved to Rochester that same year and has been practicing veterinary medicine ever since. 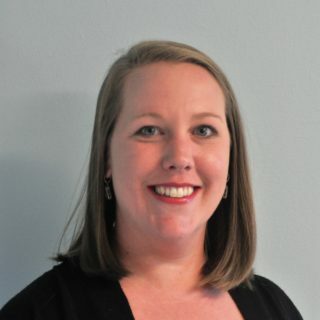 Her professional interests include internal medicine, soft-tissue surgery, and feline medicine. Dr Velez loves to travel whenever possible and has been to many countries around the world. She also enjoys spending her free time with her friends and her dog Lola. Amanda has been working in the veterinary field for almost 15 years. She started out as a kennel attendant and was then promoted to Animal Control Officer. Her journey did not stop there though. After being an ACO, Amanda worked as a veterinary technician and assistant and eventually found her true passion at the front desk when she moved to Massachusetts about 4 years ago. While in Massachusetts, Amanda worked her way up from receptionist to Head Client Care Specialist at Veterinary Dental Services. Amanda loved her time in MA but eventually was eager to move back to the Finger Lakes region, where she grew up. She currently resides in Naples with her husband Josh and their 3 dogs, Remington – a yellow lab, Ruger – a chocolate lab, and baby Winchester – a black lab. Amanda has been with Riverside Veterinary Hospital for a few months; She started out as our Head receptionist and quickly became our hospital Supervisor. Her goal is to eventually become our hospital Manager. In her spare time, Amanda and her husband enjoy boating in Canandaigua Lake and visiting breweries. Owen started working with animals in 2005 as a kennel attendant and assistant. Realizing his passion for animals, Owen enrolled at Alfred State in their LVT program. After graduation he began his career as a Licensed Veterinary Technician and has been working in the field ever since. Owen is our head technician and has a special interest in our surgery and anesthesia procedures. Born and raised in Rochester, Owen lives here with his wife and two sons. Outside of work he enjoys taking scenic rides on his motorcycle, snowmobiling, attending local music concerts and playing sports with his kids. His four legged family members consist of two rescue animals; a dog named Layla, and a kitty named Abigale. Owen is looking forward to seeing you in the office and providing quality care for your pets for years to come! Noelle has always loved animals, and while attending Wheatland Chili High School, she became a kennel attendant at a local veterinary hospital. After high school, Noelle attended SUNY Cortland and Medaille College. Since 2004, Noelle has been working with animals as a Licensed Veterinary Technician. Noelle has a special affinity for shelter medicine and works closely with our animal rescues. Noelle is kept very busy tending to her two young sons, but in her “free time” she enjoys going for a night out with her husband or friends, hiking, gardening, reading, and challenging herself to cook and bake new things in the kitchen. Noelle also has three fur-babies at home; Clapton, a 10 year old Lab/Shepherd, Ginger, a 3 year old Shepherd Mix, and Salem, a 6 month old kitty. 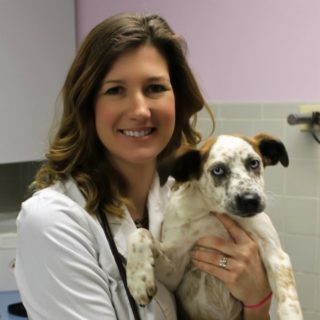 Noelle is dedicated to all her patients and the care of your pet over their lifetime. Gina grew up in East Rochester and attended Nazareth College and Alfred State, earning a B.S. in Biology and becoming a Licensed Veterinary Technician. She initially began her animal career working with draft horses and farm animals. 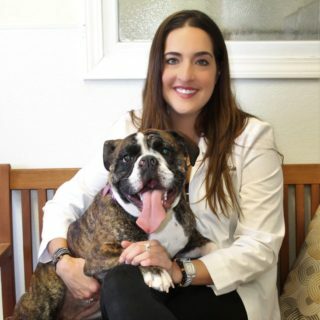 Gina recently returned to upstate New York after working as a technician in New York City, where she developed her passion in pet dentistry. Overall Gina has over 20 years of veterinary care experience and provides caring, gentle, and comprehensive care for all her patients. Gina has a beautiful baby girl and enjoys spending her time outside the office with her family, friends, and her 6 year old hound mix , Tiberius Augustus. She is also an avid traveler and has visited 4 of the 7 world continents. While in Australia, she scuba dived the Great Barrier Reef. Michelle has been working with animals for quite some time now. After graduating SUNY Delhi and becoming a Licensed Veterinary Technician, Michelle worked at The Heart of the Catskills Humane Society, Veterinary Specialists and Emergency Services of Rochester, and Companion Animal Hospital. She then found her way to us at Riverside, where she has become a dedicated member of our team. Although she loves ALL animals, Michelle has a passion for cats, both large and domestic, and has 5 cats of her own: Aiden (her baby), Flutterby, Simmons, Sweetie, and Carl. They are her little fur family! She also has 2 sisters, Lisa and Andrea and 2 beautiful nephews, Rocco and Jonathan. Currently Michelle has been enjoying living with Lisa and Rocco, however, she plans to own her own house in the near future. Michelle loves to be on the water or at the beach, so hopefully a waterfront property will find its way to her soon! Richie grew up in the Henrietta, NY and has been working with animals for almost 18 years. Richie is one of our veterinary assistants and has built the reputation as the “animal whisperer” around the office. He is known for having a gentle, calm and caring demeanor with all our patients. In his free time Richie can be found antique shopping with friends and family, hiking, and settling down with a good book. Richie has two curious kitties, Mouth and Mischief, which keep him busy at home. Jerika grew up in Conesus Lake, NY and has always had a love for animals. After adopting her rescue dog from the adoption center, the veterinary assistant job found her. She enjoys being able to work with animals on a daily basis and has begun to foster kittens for the adoption program. Jerika is also a shift manager at Starbucks and has been working there for the past 10 years. In both of her positions, customer service is Jerika’s number one priority, and she will ensure your pets have an enjoyable visit. At home Jerika is showered with love by all her furry friends, 2 rabbits, 3 cats, and 2 dogs. Outside the office, Jerika enjoys camping, going for long hikes, gardening, and painting. Rachel is one of our fabulous receptionists at Riverside Veterinary Hospital. You will recognize her cheerful smile as soon as you walk thru our front door. Rachel and her boyfriend Kiel, have 3 fur children together: two pit bulls named Bear and Marla, and a cat named Kit who runs the show. An animal lover since birth, she has been working in the field for quite some time now and has been at Riverside for approximately 1 ½ years. She started her career working with animals in kennels and as an assistant in the treatment room, and eventually moved on the front end as a receptionist. Rachel also has some vet tech experience and is working towards getting her veterinary technician degree. This experience is always helpful when answering questions for clients and other receptionists. In addition to providing our clients with outstanding customer service, Rachel also enjoys photography, gardening, and maintaining beautiful goldfish ponds. No wonder her goal is to open her own plant and pond shoppe one day! Stephanie has been an animal lover since the very beginning and as a child, she used to visit her mom while she worked at a veterinary office. During this visits, she would watch the doctor perform surgeries, learn about the different aspects of veterinary medicine, and of course snuggle the animals. Her experience has really paid off as she has become a skilled veterinary receptionist. Though she has no pets of her own, she shows her love for animals through each patient we see. Stephanie is also a talented singer, and big fan of music and theater. If you come in to our office and hear the voice of an angel, it’s probably Stephanie. Stephanie, recently moved back from NYC after experiencing life in the Big Apple for a few months. We are very happy to have her back at Riverside Veterinary Hospital. Olivia is yet another one of our amazing receptionists who gives a warm welcome to everyone who steps in our office. Olivia and her boyfriend Justin have 2 fur babies who both happen to be cats. Gary is her 4 year old mama’s boy and Lucy is her precious baby girl. This is Olivia’s first time working at a veterinary hospital which is surprising because it comes so naturally to her. Despite working previously as a leasing agent, barista and a store manager, Olivia is proud to say working here at Riverside is her favorite position yet. When Olivia is not giving all of her love to the patients who come in, she enjoys spending her time painting, snuggling animals, making people laugh, napping and eating. Someday she would love to swim in every ocean at least once and have a career in comedy. As you can see she is an exciting and enthusiastic member of our team and we are fortunate to have her.